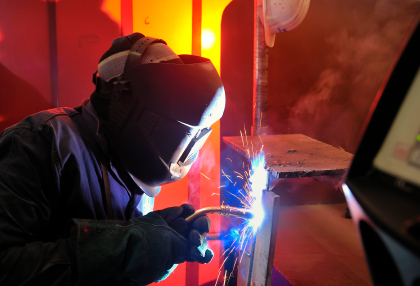 MIG (Metal Inert Gas) or MAG (Metal Active Gas) welding also known as GMAW (Gas-Shielding Metal Arc Welding) and arc is maintained between a continuous solid wire electrode and the work piece. 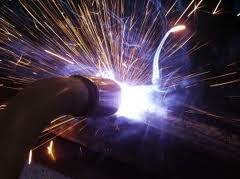 The weld pool and arc are shielded by a stream of inert or active gas. The process is suitable for a wide range of materials and filler wires are available for most metals. 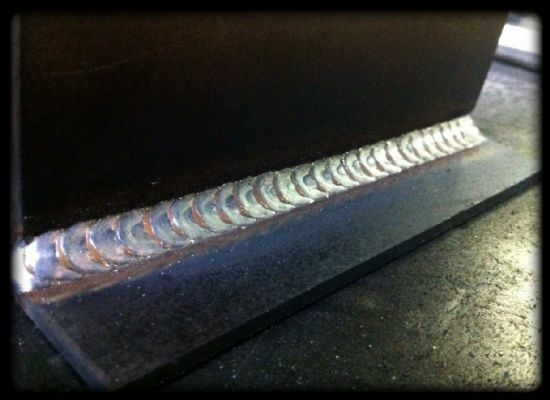 MIG/MAG welding is considerably more productive than MMA, where productivity losses happen each time a welder stops to replace a spent electrode. Material losses also result from MMA welding when the stub of each electrode is thrown away. For every kilogram of coated stick electrode purchased, about 65 per cent becomes part of the weld (the rest being discarded). The use of solid wire and flux cored wire has increased this efficiency to 80-95 per cent. 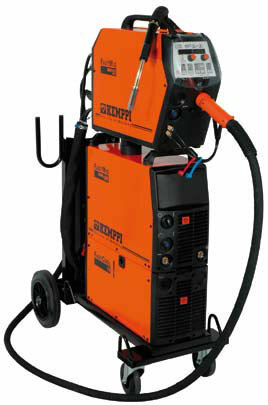 MIG/MAG welding is a versatile process, which can deposit weld metal at an extremely high rate and in all positions. The process is widely used on light to medium gauge steel fabrications and on aluminium alloy structures particularly where high-rate manual operator production is required. The introduction of flux cored wires is finding increased application in heavy steel structures.